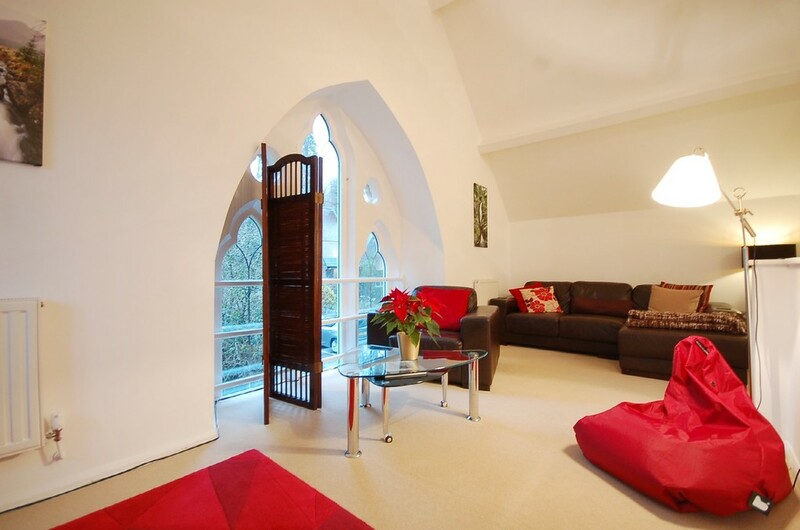 A unique opportunity to purchase a beautiful end of terrace three bedroom cottage, created within a historic ecclesiastical stone and slate church hall formerly part of St Marys Church, dating back to the 16th century. Converted in 2006 retaining much of its traditional Lakeland style including the arched mullioned windows, this well proportioned cottage has been very well maintained and benefits from modern comforts throughout including double glazing and central heating with the benefit of off-road parking and a pleasant private patio garden overlooking the church grounds. Quietly located within a development of just five cottages, the cottage is within level walking distance of the village amenities making this ideal for a range of purchasers and would suit those looking for a holiday letting investment, second home or bolt hole in the lakes or a comfortable permanent home in a convenient and quiet location. Situated just out of the village on a private lane, The Belfry occupies one of the best positions in the development overlooking the church grounds and is conveniently placed just 5 minutes walk from the shops, restaurants, amenities and transport services of Windermere enabling easy access to explore the beautiful Lake District countryside. St Marys Cottages is a development converted into just five cottages adjacent to St Mary’s Church each with their own private parking and pleasant patio gardens. 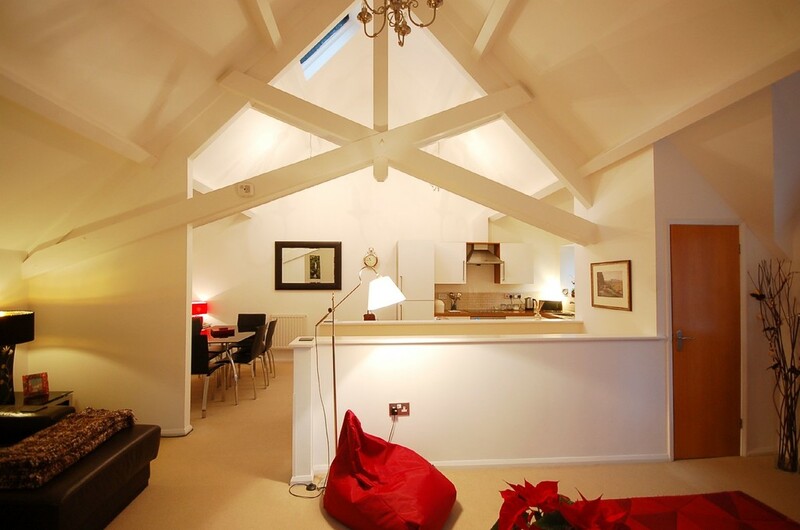 The Belfry offers splendid accommodation on two levels including an open plan living area on the first floor in the heart of the original building, two generous double bedrooms one with en-suite facility, further single third bedroom and a separate family bathroom. 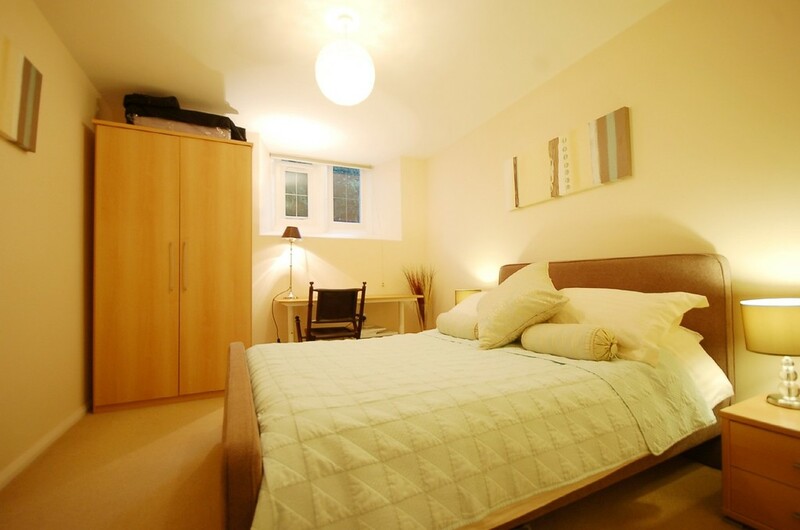 The Belfry has previously been a successful holiday let and could easily be reinstated straight away. Directions Leaving Windermere village take the (A591) Ambleside Road heading north, after approximately 200 yards turn left immediately before St Mary’s Church down a stone walled narrow lane. St Mary’s Cottages is at the end of the lane with parking for The Belfry is on the right hand side. Accommodation Accessed via the patio garden. Entrance Hall A reception hall with a radiator with plenty of space for shoes and coats. Bedroom One 14’10 x 11’06 (4.52m x 3.50m) A well proportioned double bedroom with enough space for a dressing area and wardrobes, original mullioned stone windows to two sides fitted with double glazed windows fitted into the original featured arch style windows. 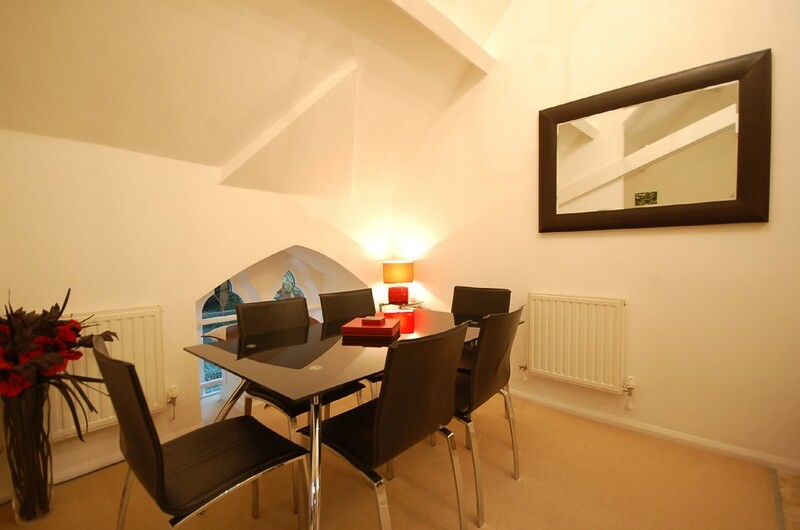 In addition there is a useful built in cupboard under the stairs. En-Suite Shower Room Three piece suite comprising of a shower cubicle, wash basin and WC. The shower room is finished with part tiled walls and tiled flooring and heated towel rail. Bedroom Two 12’02 x 9’11 (3.72m x 3.02m) The second bedroom is also a very generous double bedroom with plenty of space for wardrobes and a dressing area. 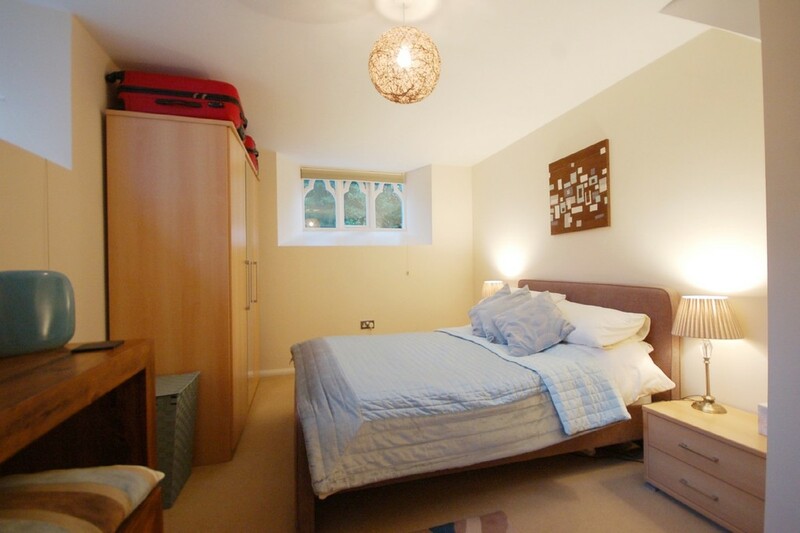 Bedroom Three 10’4 x 5’04 (3.14m x 1.63m) A comfortable single third bedroom with a window enjoying view out to the church grounds. 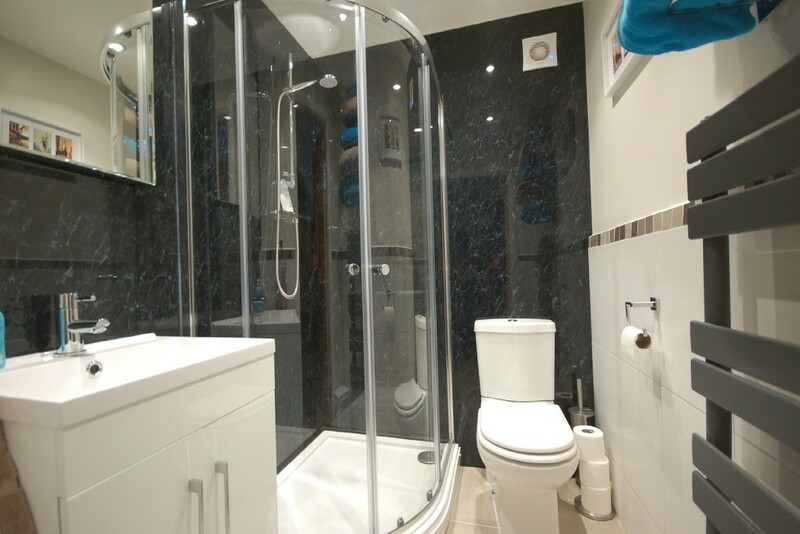 Bathroom Modern three piece suite comprising of bath with shower over, wash hand basin with storage below and WC. 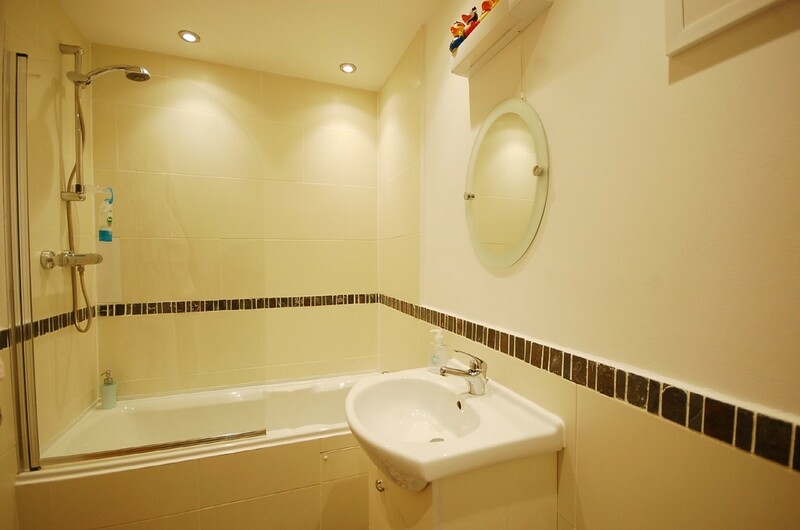 The bathroom is beautifully finished with tiled walls & flooring and a heated towel rail and shaver point with light. 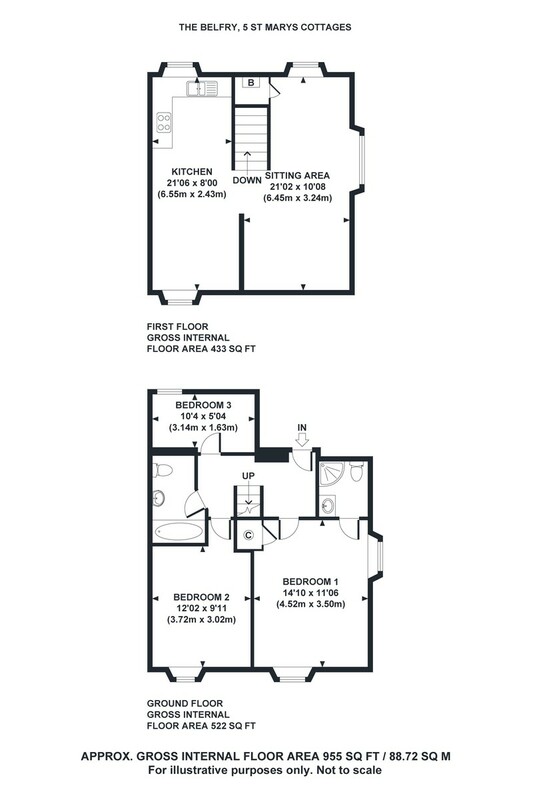 Open Plan Living Room/Dining Kitchen Kitchen: 21’06 x 8’00 (6.55m x 2.43m) Living Room: 21’02 x 10’08 (6.45m x 3.24m) A fantastic open plan living space featuring high vaulted ceilings with exposed trusses, benefitting from plenty of natural light from a traditional gothic arched style window, and windows to both the front and rear aspects all over looking the grounds of St Mary’s Church. The living area is split into a dining area leading off to the kitchen and a sitting area separated only by the staircase. 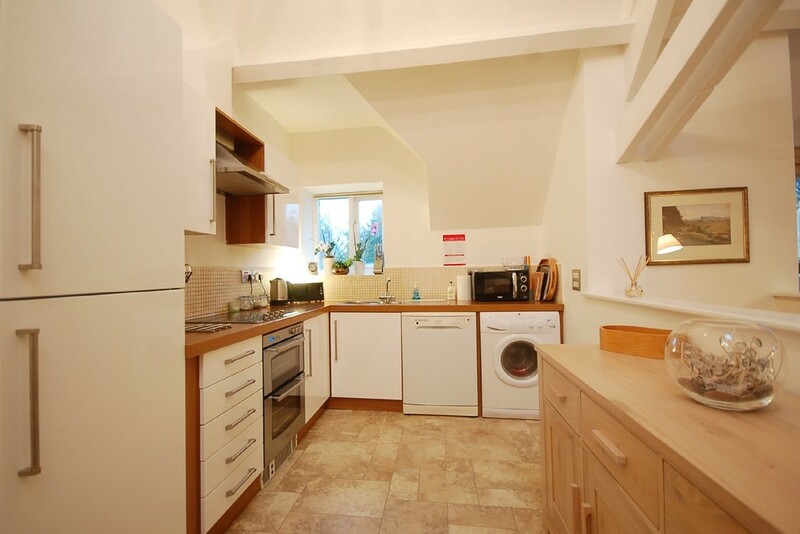 The kitchen is a bright and airy space with a window over looking the church grounds fitted with a range of white base and wall units complemented with a laminate work top and comprising a range of appliances including an integral fridge-freezer, electric oven, induction hob, and plumbing for a washing machine and dishwasher. 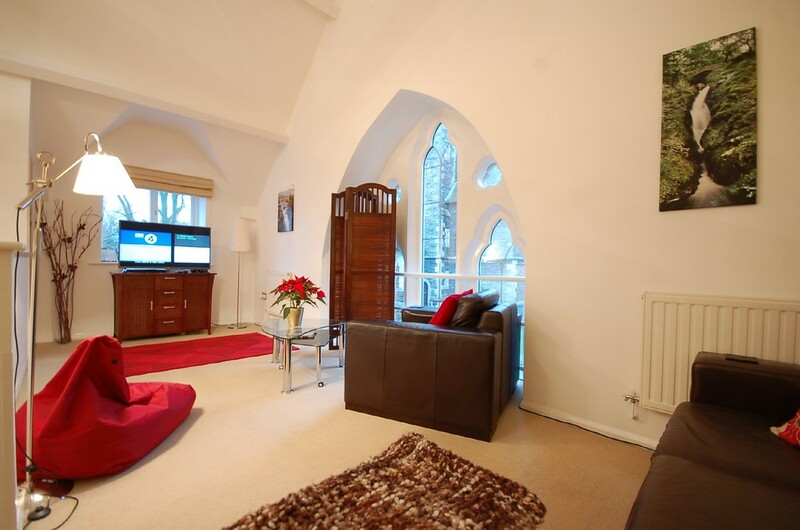 The sitting area is focused around the traditional gothic arched window which enjoys views straight out over the church grounds with a separate window out to the patio garden. The sitting area has ample space for lounging with TV and telephone points and a built in storage cupboard which houses the central heating boiler. Outside To the side of the property is a tarmac driveway with a space for one car, leading around to the rear entrance. To the rear of the property is a beautiful patio garden with stone flagged patio area and fenced overlooking the church and grounds. Services Mains electric, water, drainage and electric fired central heating boiler.